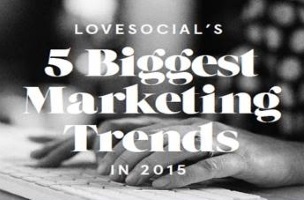 Azita Ardakani, founder and CEO of agency Lovesocial, shared her five social marketing predictions for 2015. Lovesocial counts NPR, Converse, Nike and TED among its clients. Move from organic to owned. Layer your value with corporate social responsibility programs. Let offline actions drive online conversations.